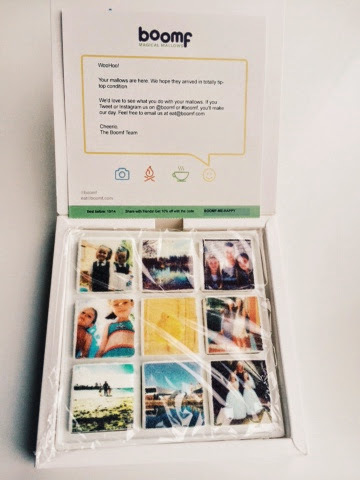 Recently I got sent personalised marshmallows, I know right amazing! It's works by choosing 9 picture from either yours or you friends instagram account and placing the order simple as that. I think the concepts amazing and they would be perfect for things such as birthdays, hen/stag dos and weddings. They taste amazing so soft and just what a marshmallow should be, plus theya are a great size. They were presented in a lovley box and overall presented perfectly. I would defiently recommend these for presents, they would be perfect for dipping in chocolate, baking and for a perfect sweet treat. Would you but these as a gift? thats a really great idea for birthdays indeed!